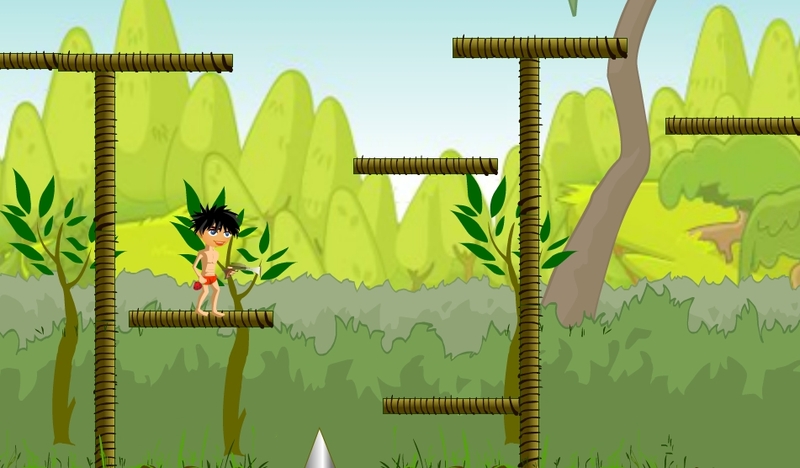 What is waiting for you in Chota Boy Adventure? You must hit START right away and assist a young boy in escaping from the Death Cave. That is the place in which the evil boss and many crocodiles are living. No time for hesitant, guys! If you are too slow, the protagonist will soon die. Time to start off the adventure! Chota Boy Adventure was developed and published initially on ZOPY.IN. Since March 2018, all players can enjoy this adventure platform game. This is an arcade flash game online compatible with all modern browsers. There are 5 zones in game that you need to proceed through. Try to dodge over obstacles ahead and collect all kinds of fruits. If you have played lots of adventure puzzlers, this game is not really a challenge. However, for the newbies, Chota Boy Adventure will take you quite a long time to finish the whole journey. Check out the walkthrough video above whenever you have any problem with the game. Well, Chota Boy Adventure is undoubtedly one of the most favored games at Coolmath4KidsGame.com, along with Tug the Table, Wrestle Jump and Ben10. Try all at our game site!